ZAM! POW! 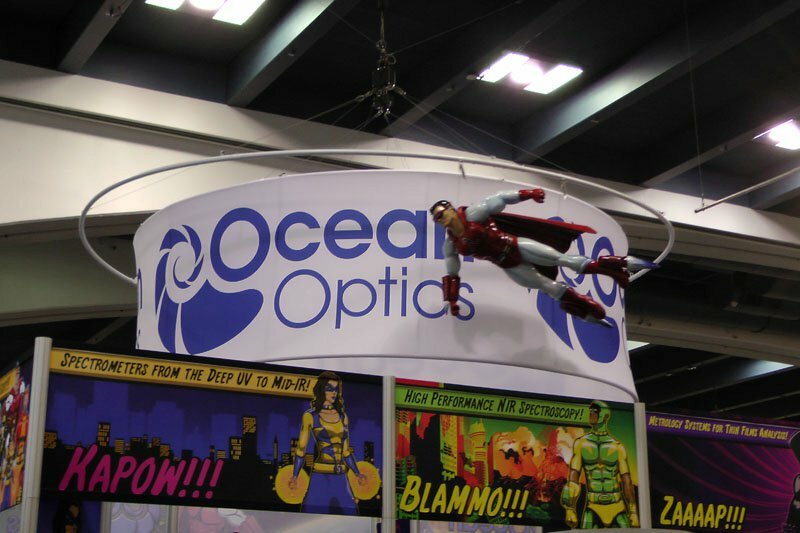 60’s-style comic books live again! You’re in luck! 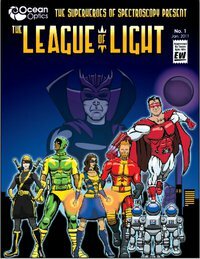 If you haven’t picked up an old school Marvel comic since they first came out, you can head back down cheesy lane with the LEAGUE OF LIGHT. I wrote this short comic, featuring the birth of a superhero team as they face off against the eeeevil Dark Current. If you’ve missed explosive action, giant sound effects, internal monologue delivered as dialog, and over-the-top drama, then LEAGUE OF LIGHT is for you! Be prepared for a lot of fun dialog such as, “Your photon blast had little effect! Try my anti-matter beam!” Ah, good times. 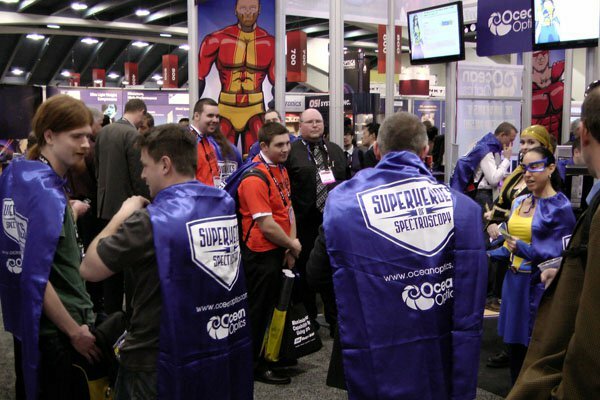 LEAGUE OF LIGHT premiered at a convention in January, and people enjoyed the opportunity to get their cape on. 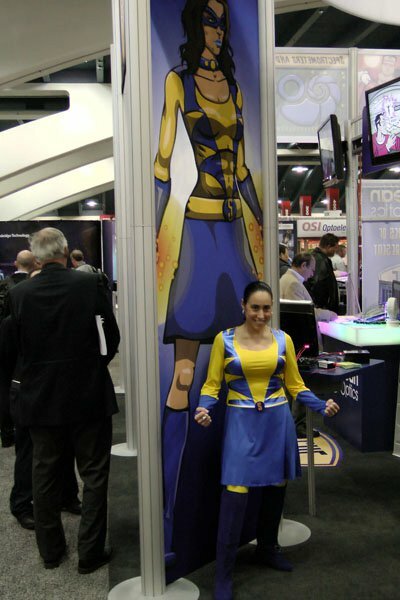 When they told me they’d have people dressed up as the characters at the booth, I was in an E3/booth babe mindset. Turns out they got their real colleagues to dress up! More fun ftw! But the biggest surprise was when they made a motion comic out of the original eight-page story. Check it out, if you dare… I’m serious — the pacing is a bit slow. That said, you just may get a laugh out of it! Like or comment on the motion comic on Youtube or Like us on Facebook for more Zam! Pow! action!